The HIPAA password requirements stipulate procedures must be put in place for creating, changing and safeguarding passwords unless an alternative, equally-effective security measure is implemented. We suggest the best way to comply with the HIPAA password requirements is with two factor authentication. The HIPAA password requirements can be found in the Administrative Safeguards of the HIPAA Security Rule. Under the section relating to Security Awareness and Training, §164.308(a)(5) stipulates Covered Entities must implement “procedures for creating, changing and safeguarding passwords”. Although all security experts agree the need for a strong password (the longest possible, including numbers, special characters, and a mixture of upper and lower case letters), many disagree on the best HIPAA compliance password policy, the frequency at which passwords should be changed (if at all) and the best way of safeguarding them. Whereas some experts claim the best HIPAA compliance password policy involves changing passwords every sixty or ninety days, other experts say the effort is a waste of time. A competent hacker should be able to crack any user-generated password within ten minutes using a combination of technical, sociological, or subversive methods (i.e. social engineering). There is more agreement between experts when it comes to safeguarding passwords. In respect of a best practice for a HIPAA compliance password policy, a large majority recommend the use of password management tools. Although these tools can also be hacked, the software saves passwords in encrypted format, making them unusable by hackers. In the context of the Administrative Safeguards, the purpose of the HIPAA password requirements is to “limit unnecessary or inappropriate access to and disclosure of Protected Health Information”. Therefore, if an alternative security measure can be implemented that accomplishes the same purpose as creating, changing and safeguarding passwords, the Covered Entity is in compliance with HIPAA. Two-factor authentication fulfills this requirement perfectly. Whether by SMS notification or push notification, a person using a username and password to log into a database containing PHI also has to insert a PIN code to confirm their identity. 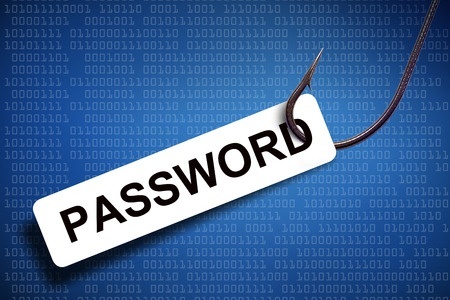 As a unique PIN code is issued with each log in attempt, a compromised password alone will not give a hacker access to the secure database. Interestingly, two factor authentication is already used by many medical facilities, but not to safeguard the confidentiality, integrity and security of PHI. Instead it is used by medical facilities accepting credit card payments to comply with the Payment Card Industry Data Security Standard (PCI DSS) and by others to comply with the DEA´s Electronic Prescription for Controlled Substances Rules. Healthcare IT professionals will be quick to stress that two factor authentication can slow workflows, but recent advances in the software allow for LDAP integration and Single Sign-On between healthcare technologies. As two factor authentication software only transmits PIN codes (and not PHI) the software does not need to be HIPAA compliant, and it is a far easier solution for compliance with the HIPAA Password requirements than frequent changes of passwords and password management tools. Effectively, Covered Entities never need change a password again. The only thing Covered Entities have to remember before implementing two factor authentication to protect PHI is that, because the HIPAA Password requirements are addressable safeguards, the reasons for implementing the alternative solution have to be documented. This will satisfy the HIPAA requirements for conducting a risk analysis and also satisfy auditors if the Covered Entity is chosen to be investigated as part of HHS´ HIPAA Audit Program. It was mentioned above that most user-generated passwords can be cracked within ten minutes. That may seem an outrageous claim to some IT professionals, but this tool on the ramdom-ize password generating website will give you an idea of how long it could take a determined hacker to crack any password by brute force alone. Social engineering and phishing will likely accelerate the speed at which the hacker succeeds. Randomized passwords containing numbers, symbols and a mixture of upper and lower case letters obviously take a longer to crack – but they are still crackable. They are also much harder for users to remember; and although secure password management tools exist to store passwords securely, if a user wants to access a password-protected account from another device, password management tools are ineffective. The only way for the user to access the account is to have the password written down or saved on another device – such as an unsecured smartphone. Accessing password-protected accounts from secondary devices increases the risk of a data breach due to keylogging malware. This type of malware runs undetected on computers and mobile devices, secretly recording every keystroke in a file for later retrieval by a hacker. As this is a foreseeable risk to the security of Protected Health Information, Covered Entities must either introduce policies to limit users to the devices from which they can access password-protected accounts, or find an alternative to the HIPAA password requirements.